So, you're building a new home & you want to ensure you're ongoing electricity bills are low? Make sure you insulate to the correct level! Some builders under insulate in areas they should over insulate & then over insulate in areas that need less insulation. By increasing your ceiling insulation & having less to no cavity wall insulation can be better for your pocket in some orientations & climate zones, but the reverse is better in others! 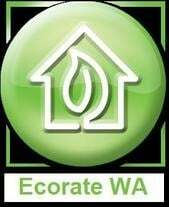 To find out which way is best for your future home & save money for it's ongoing costs when it's built, get us to do the accredited BCA energy efficiency assessment, like we say at Ecorate WA, we're good for your home & your pocket.